Well I don’t think on this occasion I need to post a news link to the story I’m discussing… Swine flu! (unless you have been cave dwelling of course). Swine fever has hit! Yes, I said Swine fever and not swine flu. It’s not the illness that amuses me, it’s the media hype and general “excitement” surrounding it! The news has been nicely winding the public into a frenzied state. The ITN news this week was highlighting countries that had been affected. Even if there was only one case the whole country turned red in their exciting graphics, until it looked like all of the America’s were about to loose their whole population, 1/2 of Europe had been wiped out and of course Scotland! Then the presenter (in the same…”oh my god you’re all going to die…but I’ll be OK because I’m a celebrity” voice) showed a graphic of the WHO alert moving from 3 to 4, as if it was happening at the very moment he talked about it, suggesting things are getting worse by the second. FOR GOD SAKE!!!! Everybody relax. Yes some people may die from it…like they do every year from influenza’s, but most people may get a bit of a headache and feel crap for a few days. The government are concerned as we are in a recession and if a pandemic hits hard it will increase health spending and damage infrastructure – i.e lorry drivers, supermarket staff and public sector workers will be temporarily in short supply due to them having a few sickies, which will be an inconvenience and cause stress. They set the cogs in motion and ensured they were both out of power when it set in. Just 3 month’s after Bush ducks out of the White House it all kicks off! This strain of Swine flu is a combination of 4 other flu viruses…. How did they get together? Flubook? Met at a party? Much more likely they were mixed in a secret lab somewhere! 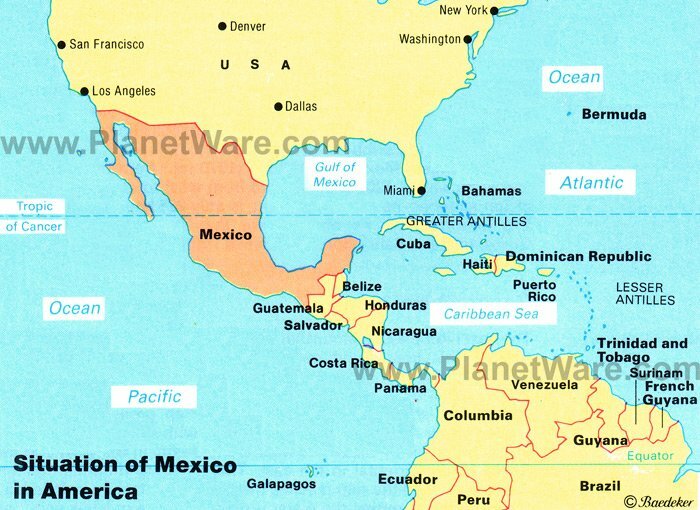 Bush ensured it all kicked off in Mexico, hopeful that the poor Mexican’s will perish and the American’s can move in. Let’s face it they are running out of space to build MacDonalds over there! Don’t believe me?? Who do you trust more? Bush or Max??? OK I just made that up…good fun though. The whole Swine flu thing is just a hoax to get people to stop focusing on the current financial mess and get the reporters to focus on something else. … “Pigs might fly” expression suggesting that something’ll never happen. 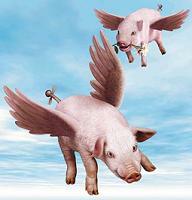 If pigs fly will the price of Bacon go up??? …and if you want to get hooked and find the latest cases look here… thanks to the Twittering Jacob Spencer for this!! I may be wise, but just sometimes I struggle to get myself through a language barrier. Oddly I am not talking about the Chmjelewski family, who arrived from Poland last week and can speak English better than I can call their name in the waiting room. I’m talking about those Anglo-Saxon’s and Britons. When I first moved to this area I had some problems adapting to the local dialect. Max thinks …Oh! He means he’s got wax in his hair…well so have I, it stops my hair going fluffy and keeps that slightly spiky look in control. But I’ve been around these parts for a while now and can understand the locals accent without too much of a problem. But yesterday I realised it’s not always the accent that causes problems. A man presented with knee trouble…and as I examined him I asked if it was painful when I pressed the area, to which he replied…. “It’s not painful at all, it just hurts all the time”. Now of course I recall the very painful essay I had to write as a first year nursing student on “Pain”. Like all the other spotty eager nursing fledglings, I quoted McCaffery who defines pain as “what the patient says it is, and it’s as bad as the patient says it is.” So if the patient says it’s not painful, and it hurts, then so be it…I didn’t prescribe any pain killers, but some hurt killers instead!!! Check to see if they have a pain in the arse, before you call for the vet to look for the pin….It’s like looking for a needle in a haystack!